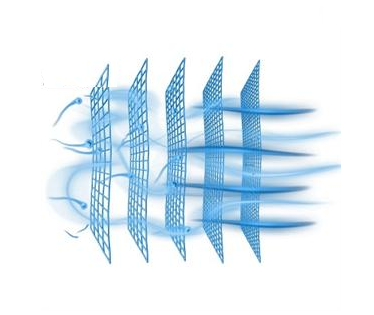 Are we ourselves, as the sole hominid species, the Great Filter? Parochialism, ironically, knows no bounds. Our habit of blinkering ourselves — what visionary poet William Blake called “mind-forged manacles” — is nearly universal. Sometimes even the most sophisticated minds miss the simple things that are staring them in the face. Usually, I think this is a function of the absence of a theoretical context that would make it possible to understand the simple truth staring us in the face. I have elsewhere written that one of the things that makes Marx a truly visionary thinker is that he saw the industrial revolution for what it was — a revolution — even while many who lived through this profound series of events where unaware that they were living through a revolution. So even if one’s theoretical context is almost completely wrong, or seriously flawed, the mere fact of having the more comprehensive perspective bequeathed by a theoretical understanding of contemporary events can be enough to make it possible for one to see the forest for the trees. Darwin wrote somewhere (I can’t recall where as I write this, but will add the reference later when I run across it) that from his conversations with biologists prior to publishing The Origin of Species he knew how few were willing to thing in terms of the mutability of species, but once he had made his theory public it was rapidly adopted as a research program by biologists, and Darwin suggested that countless facts familiar to biologists but hitherto not systematically incorporated into theory suddenly found a framework in which they could be expressed. Obviously, these are my words rather than Darwin’s, and when I can find the actual quote I will include it here, but I think I have remembered the gist of the passage to which I refer. The idea that the present consists entirely of life forms having attained a completed and perfected form, and that all previous natural history culminates in these finished forms of the present, therefore placing all transitional forms in the past, is a relic of teleological and equilibrium thinking. 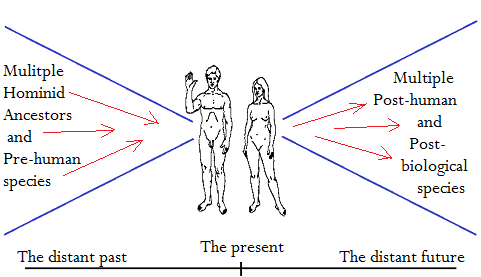 Once we dispense the unnecessary and mistaken idea that the present is the aim of the past and exemplifies a kind of equilibrium in the history of life that can henceforth be iterated to infinity, it becomes immediately obvious that every life form is a transitional form, including ourselves. A few radical thinkers understood this. Nietzsche, for example, understood this all-too-clearly, and wrote that, “Man is a rope stretched between the beasts and the Superman — a rope over an abyss. A dangerous crossing, a dangerous wayfaring, a dangerous looking-back, a dangerous trembling and halting. What is great in man is that he is a bridge and not a goal..” But assertions as bold as that of Nietzsche were rare. Darwin himself didn’t even mention human evolution in The Origin of Species (though he later came back to human origins in The Descent of Man): Darwin first offered a modest formulation of a radical theory. So what has all this in regard to Marx and Darwin to do with the great filter, mentioned in the title of this post? 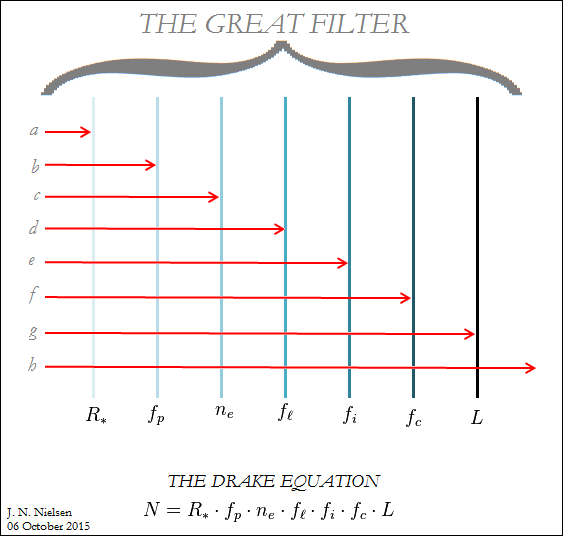 I have written many posts about the Fermi paradox recently without ever mentioning the great filter, which is an important part of the way that the Fermi paradox is formulated today. If we ask, if the universe is supposedly teaming with alien life, and possibly also with alien civilizations, why we haven’t met any of them, we have to draw that conclusion that, among all the contingencies that must hold in order for an industrial-technological civilization to arise within our cosmos, at least one of these contingencies has tripped up all previous advanced civilizations, or else they would be here already (and we would probably be their slaves). 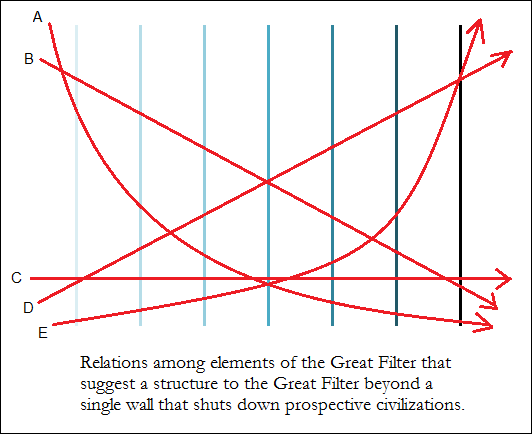 The contingency that has prevented any other advanced civilization in the cosmos from beating us to the punch is called the great filter. Many who write on the Fermi paradox, then, ask whether the great filter is in our past or in our future. If it is in our past, we have good reason to hope that our civilization can be an ongoing concern. If it is in our future, we have a very real reason to be concerned, since if no other advanced civilization has made it through the great filter in their development, it would seem unlikely that we would prove the exception to that rule. So a neat way to divide the optimists and the pessimists in regard to the future of human civilization is whether someone places the great filter in the past (optimists) or in the future (pessimists). 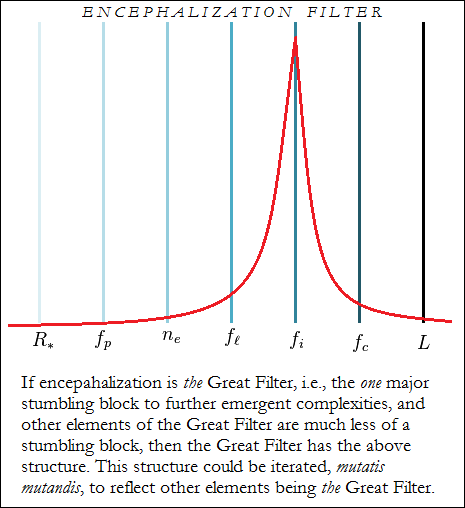 I would like to suggest that the great filter is neither in our past or in our future. The great filter is now; we ourselves are the great filter. Human beings are the only species (on the only biosphere known to us) known to have created industrial-technological civilization. This is our special claim to intelligence. But before us there were numerous precursor species, and many hominid species that have since gone extinct. Many of these hominids (who cannot all be called human “ancestors” since many of them were dead ends on the evolutionary tree) were tool users, and it is for this reason that I noted in Civilization and the Technium that the technium is older than civilization (and more widely distributed than civilization). But now we are only only remaining hominid species on the planet. So in the past, we can already see a filter that has narrowed down the human experience to a single sentient and intelligent species. Writers on the technological singularity and on the post-human and even post-biological future have speculated on a wide variety of possible scenarios in which post-human beings, industrial-technological civilization, and the technium will expand throughout the cosmos. If these events come to past, the narrowing of the human experience to a single biological species will eventually be followed by a great blossoming of sentient and intelligent agents who may not be precisely human in the narrow sense, but in a wider sense will all be our descendants and our progeny. In this eventuality, the narrow bottleneck of humanity will expand exponentially from its present condition. Looking at the present human condition from the perspective of multiple predecessor species and multiple future species, we see that the history of sentient and intelligent life on earth has narrowed in the present to a single hominid species. The natural history of intelligence on the Earth has all its eggs in one basket. Our existence as the sole sentient and intelligent species means that we are the great filter. If we survive ourselves, we will have a right to be optimistic about the future of intelligent life in the universe — but not until then. Not until we have been superseded, not until the human era has ended, ought we to be optimistic. 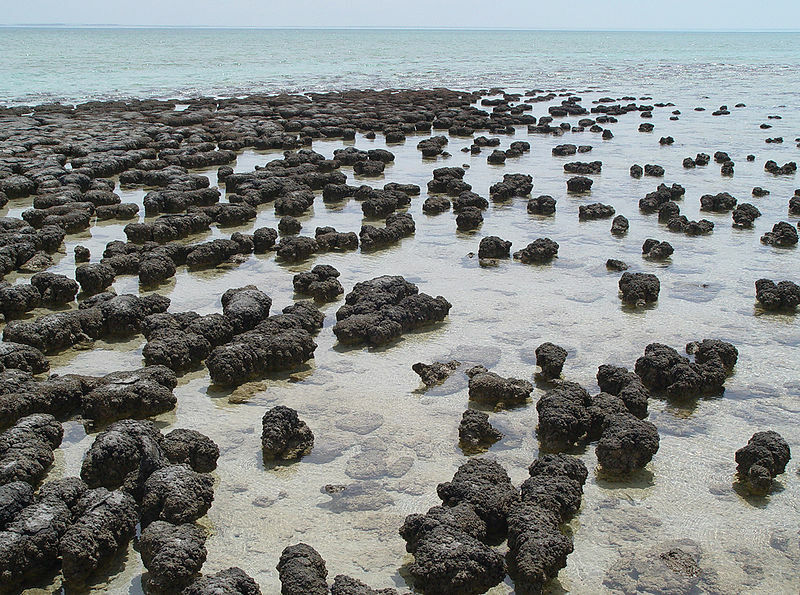 Man is a narrow strand stretched between pre-human diversity and post-human diversity.